North Carolina officials insist the state is prime territory for the next big industrial manufacturing facility — most likely an automaker. Auto assembly plants can attract billions of dollars in investment, create hundreds of high-paying jobs, and revitalize a local economy. But we keep losing the competition for new auto plants to nearby states. South Carolina has BMW, Mercedes-Benz, and Volvo. Tennessee has Nissan and Volkswagen. Georgia has Kia. And Alabama has become an auto-making giant, hosting assembly plants for Honda, Hyundai, and Mercedes-Benz. Most recently, state officials landed a joint-production deal involving Toyota and Mazda. The Tar Heel State reportedly was a finalist for the Toyota/Mazda plant. N.C. Department of Commerce documents show company officials considered at least three locations here. In September 2017, they focused on the Greensboro-Randolph Megasite near the Town of Liberty. State officials were promoting the Liberty site over others, and it has received considerable financial backing — about $26 million — from the N.C. Railroad Co., a private company owned by the state and controlled by political appointees. State officials seem to be promoting the Liberty site over others, based on a review of Commerce Department documents, such as an Oct. 13, 2017, proposal from Commerce to a Toyota/Mazda consultant. Megasites are large tracts with infrastructure in place to accommodate an automotive plant or other large manufacturer. Other locations may be appropriate for smaller manufacturing operations, but only a few are considered megasites. The joint assembly plant represented a $1.6 billion investment that would have employed 4,000 workers. The state of North Carolina ultimately offered an incentives package that was worth the same amount – $1.6 billion. But the favored site has a major blemish. 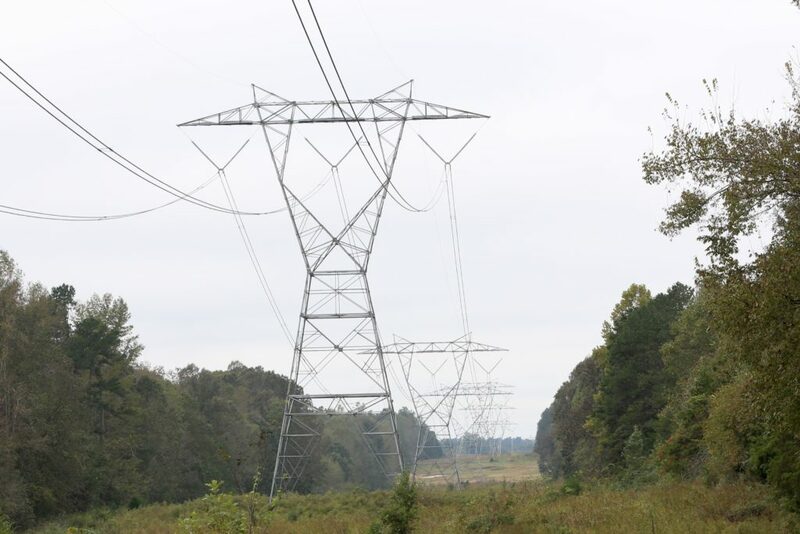 It is bisected by a 2-mile section of a major Duke Energy transmission line. Toyota and Mazda officials said it needed to be moved. Even though the Liberty megasite seemed to have an upper hand over other, perhaps more appropriate locations, it has not undergone a certification process. Certification is considered essential by many economic development officials to show a location has access to enough energy, water, and transportation outlets to justify a major manufacturing facility. Duke Energy developed a plan to relocate the line to the northern boundary of the site and said the project would be completed by October 2018. Duke put the plan on hold in January when Toyota and Mazda announced they were headed to Alabama. The state’s apparent interest in pushing the Liberty location may have cost North Carolina its best opportunity to land an automaker. Barry McClelland, a retired Honda facilities manager and now an independent plant location consultant, told Carolina Journal the Duke transmission line needs to be moved. “It might be a deal stopper. That site also needs to get certified by the state. In today’s world, certification is a big deal,” he said. McClelland said that he is aware of three major site searches in North Carolina in the past few months, and state officials need to show a company all three sites. The other two megasites are in Chatham County — one near Siler City and the other near Moncure. A fourth megasite — the 1,500-acre Kingsboro site in Edgecombe County — landed a major tenant in January. The Chinese tire manufacturing company Triangle Tyre announced it will build its first manufacturing plant outside China on part of the Kingsboro site. The Liberty site was the brainchild of former Piedmont Triad Partnership CEO David Powell. In 2011, he began advocating for a regional megasite south of Greensboro. Powell resigned from the organization in January 2015 and later was investigated over allegations of embezzlement. Former Greensboro mayor Jim Melvin set up the Greensboro-Randolph Megasite Foundation and assumed the advocacy role from Powell. Powell was indicted in 2016. His trial was postponed several times, and he committed suicide in April 2017. In May 2015, NCRR, a quasi-state organization, decided to buy land for the megasite project. NCRR owns and manages a 317-mile rail corridor connecting Morehead City to Charlotte. NCRR is unique because it’s a private company, but the state of North Carolina owns all its stock. The governor and legislative leaders appoint the 13-member board of directors. Its primary income comes from leasing some of its tracks to Norfolk Southern Railway. CJ hasn’t been able to determine how NCRR became involved in the project. The organization would not disclose meeting minutes. In 2016, Chairman Frank Rouse said NCRR doesn’t have to comply with the laws that apply to all state and local government agencies, such as the state’s public records law, because it’s a private company, not a state agency. CJ first wrote about the NCRR’s unusual plan to buy land for the project in 2016. Since Norfolk Southern Railway owns the rail line bordering the megasite, and the NCRR track is about 15 miles away in Greensboro, NCRR would not receive any direct benefit from its spending. The stated mission of NCRR is to develop its own corridor. NCRR president Scott Saylor told CJ the megasite project is part of his organization’s broader economic development mission. County property tax records show NCRR owns about 1,200 acres of the site. In October 2017, Saylor, Randolph County Commission Chairman David Allen, and Foundation President E.S. Melvin pledged to give the Greensboro-Randolph Mega Site, worth $48 million, to Toyota and Mazda if the automakers chose the location for the assembly plant. The N.C. Department of Commerce and the Economic Development Partnership of North Carolina, a private nonprofit established by the General Assembly in 2014, are responsible for recruiting industries to come to North Carolina. On Sept. 15, 2017, EDPNC CEO Christopher Chung wrote Commerce Secretary Anthony Copeland about the Liberty site. “Discussion at the Liberty site focused heavily on the relocation of the high-voltage transmission line bisecting the north and south halves of the site. This is clearly an issue that the client team highlighted as needing to be resolved within the required time frame (18 to 24 months) and at minimum cost to the client. Duke Energy is aware of the need for this matter to be addressed and how critical it is to the Liberty site’s viability; they are reviewing what can be done,” said Chung. In a Sept. 25 letter from Duke Energy N.C. President David Fountain to Greensboro Chamber of Commerce President Brent Christensen, Duke Energy Chief Executive Officer Lynn Good agreed to move the line and said it would be done by Oct. 1, 2018. According to Duke, a new industry couldn’t tap directly to that line. “Our 525 KV transmission system is for bulk transport and voltage stability only. It is not designed for retail service and has never been used in that manner,” spokeswoman Meghan Miles said. CJ asked Miles about the status of the relocation project. She said the project is no longer moving forward since the potential customer selected another site. She also said the estimated cost of the moving the line as proposed would be $25 million and that Duke customers wouldn’t pay for the project. She said Duke would move power lines, if needed, at other megasites. “Duke Energy supports economic development, and where our infrastructure inhibits successfully completing a project, we have policies in place that allow the company to relocate our infrastructure. These policies both protect our rate base and allow for economic development projects to use the full site,” she said. North Carolina has 24 certified sites, including the Siler City site and the Moncure site. The Greensboro-Randolph site isn’t certified. Brent Christensen, president of the Greensboro Chamber of Commerce, is one of the local marketing contacts for the site. He said the state hasn’t certified it. “It is our understanding that the remaining requirement for site certification is the complete right of way acquisition to the site for water and sewer service by the City of Greensboro. This process is well underway, and we anticipate submitting for state site certification upon its completion,” he said. It’s unclear whether this outside certification holds much sway over companies looking for a place to build a major manufacturing facility.